Flight takes time to get into. But when you do get into it, it is a gem. It is a story about feeling lost, both within the world and within themselves. It is unsettling, it is emotional. 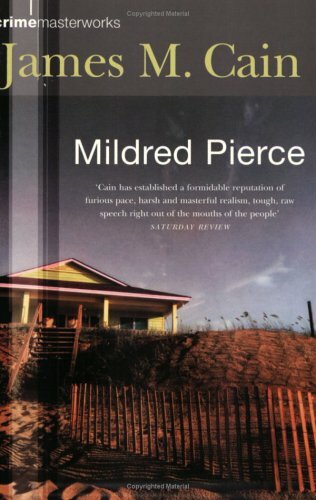 It is a thoughtful story that makes you examine your own life, your own situation, and where you belong. 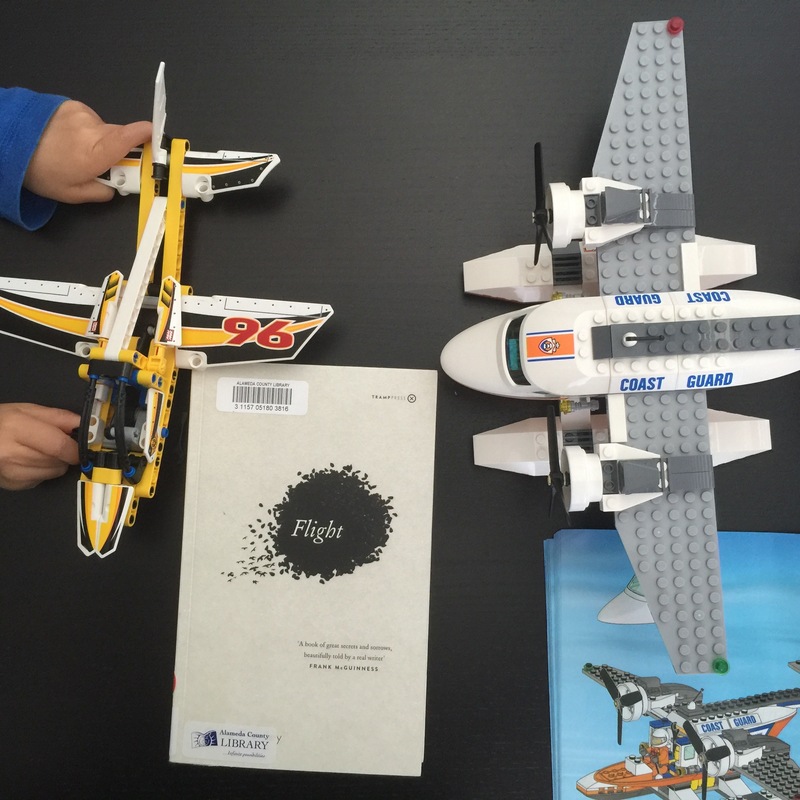 Flight by Oona Frawley is published by Tramp Press, an indie Irish publishing company. It is times like this that I wonder what I was reading as a child. And why did I never read any Joan Aiken? Would the child-me have enjoyed the Armitage family’s antics as much as the adult-me does today? 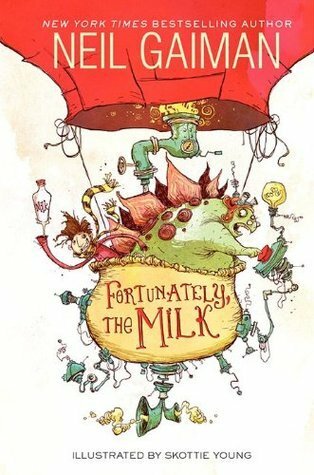 Because it was such a fun, silly, charming and enchanting read that I so wished I could share with my kids. What is an Armitage Family story?, you may wonder. Well, there is Mark and his sister Harriet, and of course their parents, Mr and Mrs Armitage. Mark and Harriet are very likable, rather sweet kids, to whom delightfully odd things happen. Their parents often get turned into things, but react in very straitlaced manners. Like fundraisers and business meetings. Although the fundraiser is for the Distressed Old Fairy Ladies and Mr Armitage takes his meeting as an insect. As in, oh I am an insect, oh bother, here, son just take me to my office so I can conduct my meeting anyway. You know, because these things happen. And mostly on Mondays. Because on Mondays, “unusual things were allowed, and even expected to happen at the Armitage house”. One of my favourite stories involved Brekkfast Brikks, a dusty kind of cereal with a cut-out garden on the back. A magical cut-out garden that is! And the one where Mr Peake, the ghost who lives in the house, takes Harriet out from school for the holiday weekend. Or maybe it’s the one where the unicorn makes its appearance. It’s just full of wonderful stories to read, reread and share. Whether it’s a Monday or not. 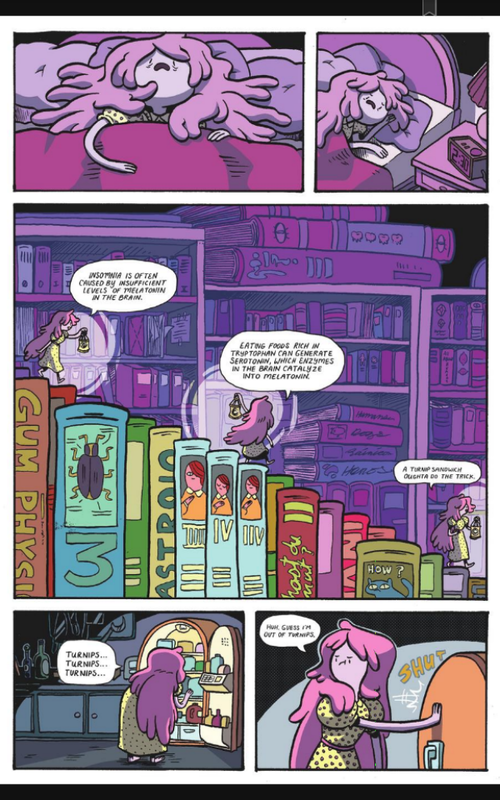 Comics round-up: Underwater Welder; Adventure Time; Jem and the Holograms; Hexed…. This post is just getting longer and longer. I really have to run it soon. Lemire excels in taking ordinary people, those living in small towns, their lives a little bit lost and their hearts a little bit broken, and turning it into an emotional, unforgettable, moving story. I loved Essex County, and Underwater Welder was just as excellent. 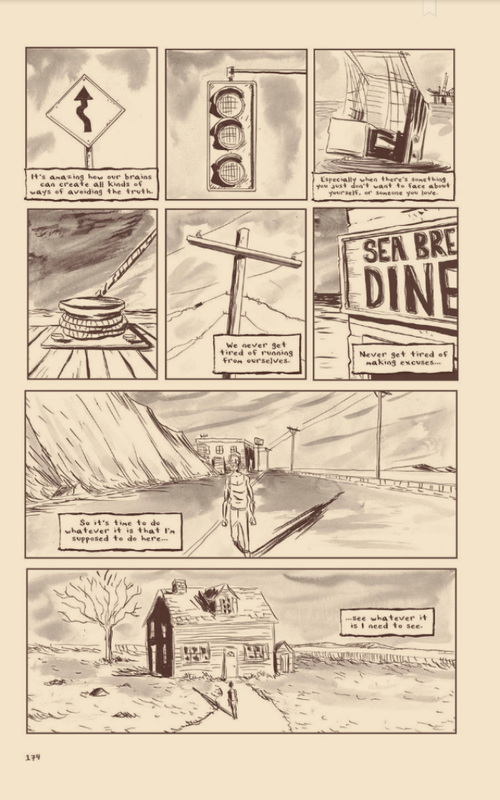 It’s kind of weird to say, hey, you should read this comic about an underwater welder but luckily it s more than that. Jack and his wife are expecting a baby in a month when he goes off to the rig to work. He sees something in the water that makes him think of his dead father. Not just think but more like return to that time when he was a child and his father was still alive, and as that happens, as his memories creep into his life, they pull him away from his wife and his unborn child. It’s a story of how the past can affect, can take hold of the present. A painful read this one. Lucille is an anorexic teenager. She is slowly starving herself so that she can look like the other girls. Arthur is a boy with OCD, the son of an alcoholic fisherman. And they somehow meet and become friends, then more than friends. 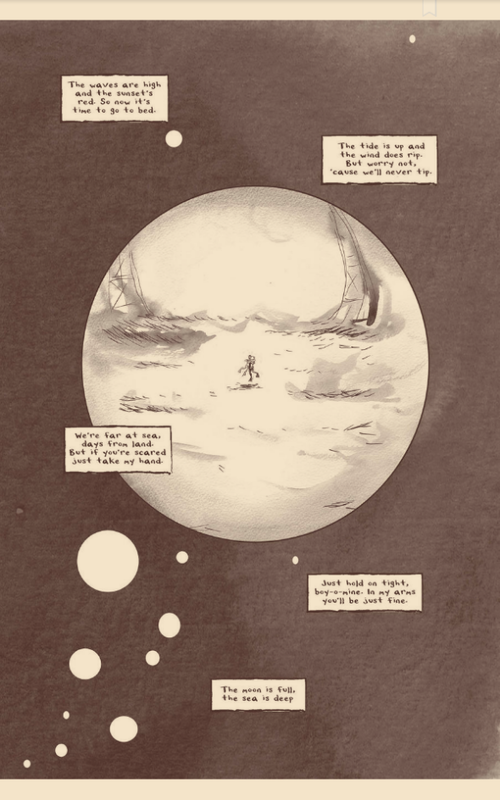 The illustrations are spare and panel-less, which makes for a rather different flow from the typical comic. A moving, minimalistic read. I didn’t know anything about Lizzie Borden except that children’s rhyme which I probably might be familiar with from watching TV/movies? So why did I read this? Still have no idea. This is one book that really shouldn’t be judged by its cover. Because I really adored the cover art – by Malaysian-Singaporean artist Sonny Lies – but I definitely did not like the artwork within. So it was very disappointing. 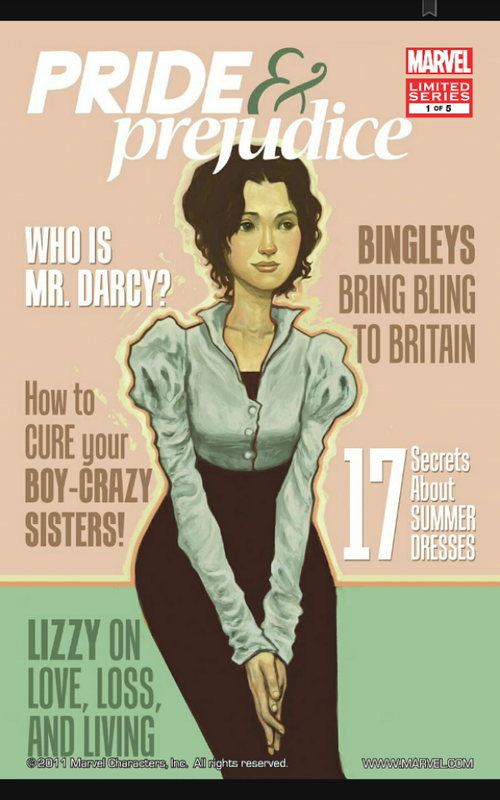 Elizabeth Bennet always looks so harsh and angry. 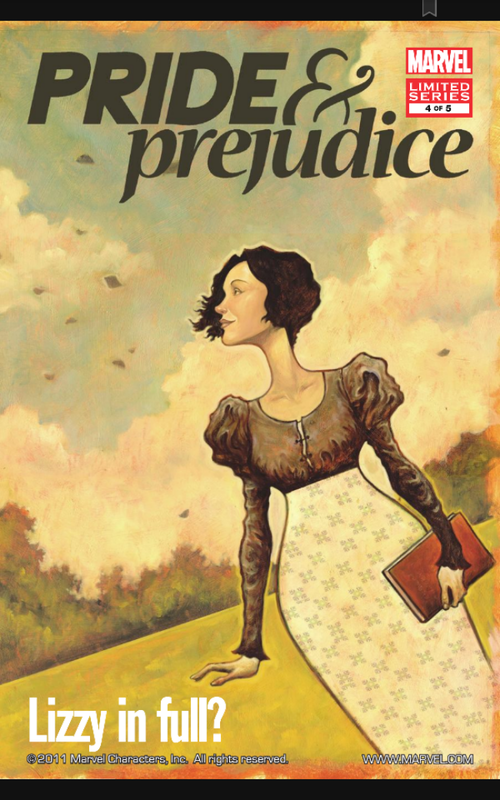 I don’t think I would recommend it, unless you’re introducing Jane Austen to a reluctant reader who prefers comics to classics. 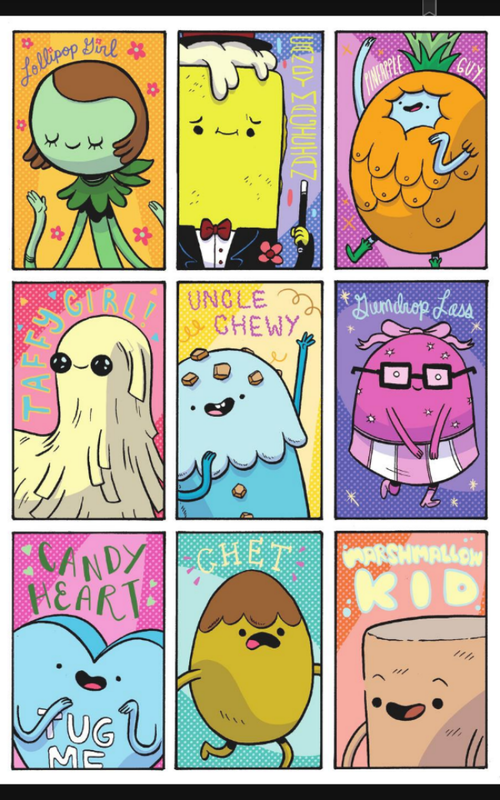 Ah what can I say, I adore Adventure Time. I never thought I would as it seemed rather cutesy. But it’s just such fun. 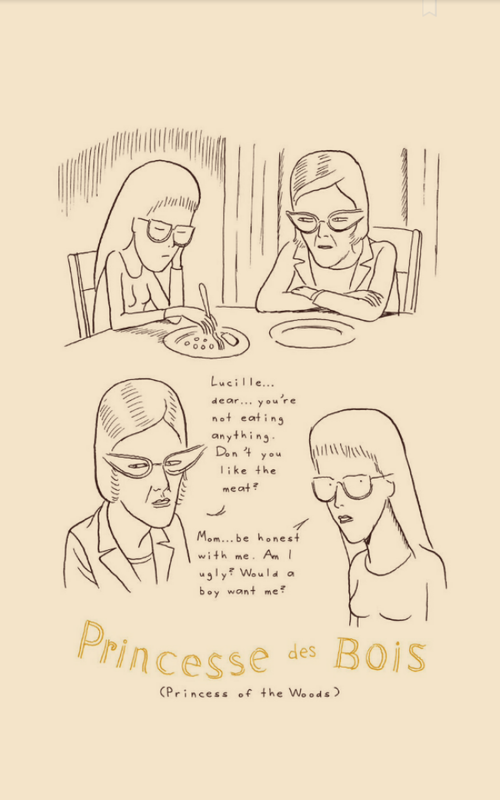 One of the more disturbing comics ever. I mean sure, having read Locke and Key, as well as two of Hill’s novels, I know that he’s got a strange mind, wandering towards the macabre, the creepy, the disturbing. 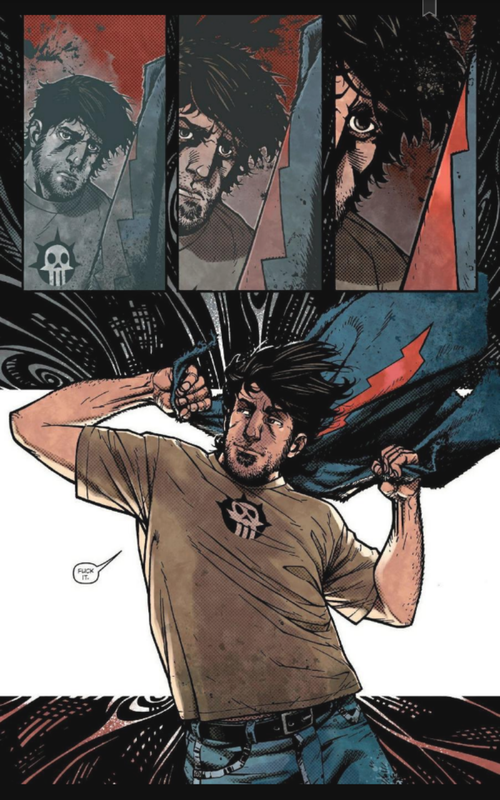 But with Locke and Key, while it was violent and morbid, it had a lot of heart. Those were some awesome kids. Here in The Cape, it’s a superpower gone wrong story. A deadbeat guy who seems to hate everything and everyone and thinks the world has done him wrong. I felt so angry reading this. 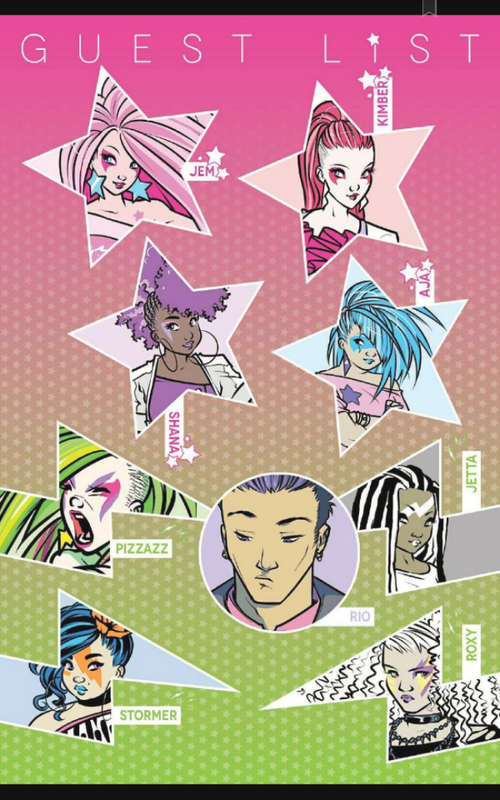 I hadn’t heard of Jem and the Holograms before Andi’s post. I guess this was one American TV show that didn’t make it to Singapore? It’s a fun read, mostly for its colourful outfits and big hair. And I love its diverse characters. That is, not everyone is skinny and white and straight. 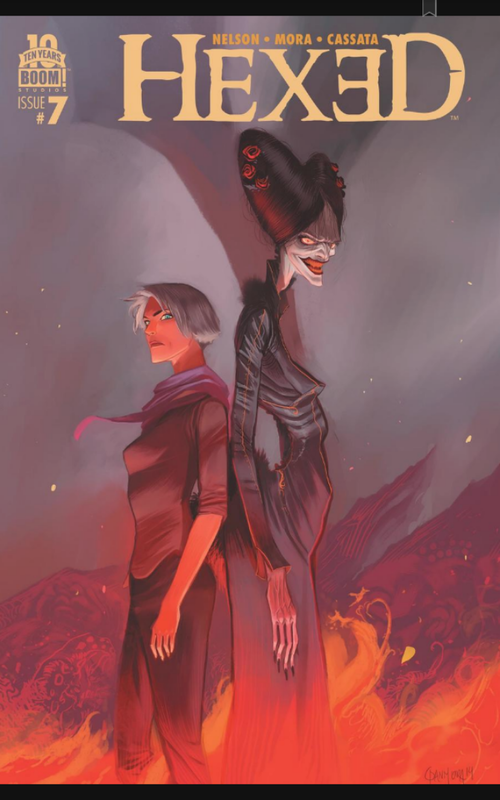 So Lucifer is a thief and there’s a lot of artwork involved and something about a Harlot and spirits and a necromancer. Ok I don’t really get it either. But compared to another recent read, Pretty Deadly, it was a little more easily understood (although still puzzling) and had some decent and relatable characters. 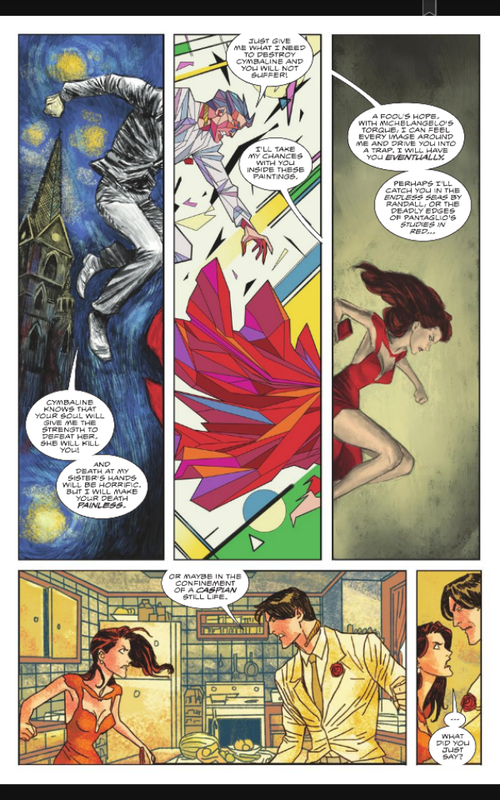 One thing I did appreciate is that this comic written and drawn mostly by men has females as its main characters. And they’re tough and strong. I was just disappointed that Scribd only has seven issues. With grandma around to read to the boys for a bit, I got to wander among the fiction shelves and pick up some goodies. Yup this was more for me than the kids! Hee hee! 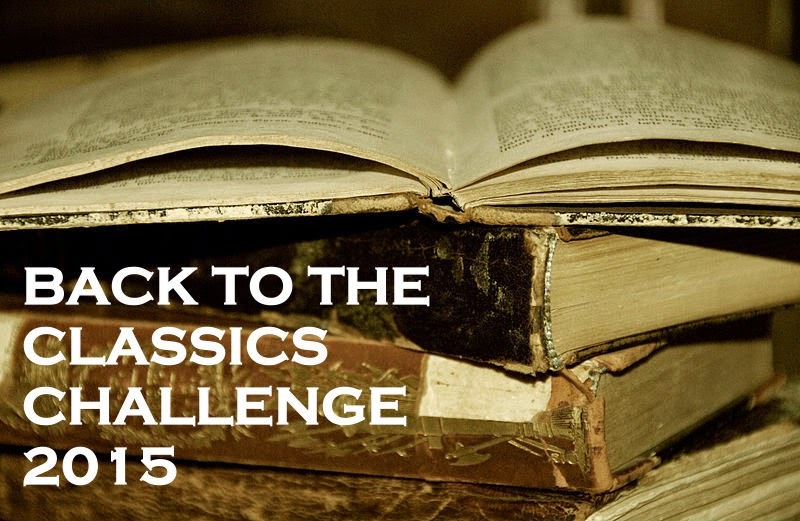 I just realized this would be perfect for Back to the Classics. I’ve watched a little of the HBO series via Amazon Instant Video and Kate Winslet is amazing as always, even playing an American housewife. Ok I did not know that this was a continuation! Hopefully it will work reading it on its own. Four Souls begins with Fleur Pillager’s journey from North Dakota to Minneapolis, where she plans to avenge the loss of her family’s land to a white man. After a dream vision that gives her a powerful new name, Four Souls, she enters the household of John James Mauser. A man notorious for his wealth and his mansion on a hill, Mauser became rich by deceiving young Indian women and taking possession of their ancestral lands. What promises to be a straightforward tale of revenge, however, slowly metamorphoses into a more complex evocation of human nature. 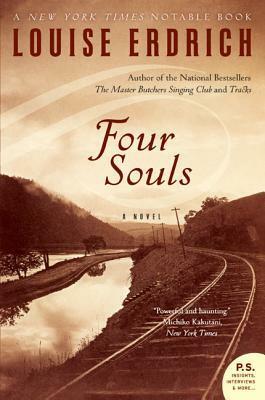 The story of anger and retribution that begins in Tracks becomes a story of healing and love in Four Souls. When Ruka was younger, she saw a ghost in the water at the aquarium where her dad works. Now she feels drawn toward the aquarium and the two mysterious boys she meets there, Umi and Sora. 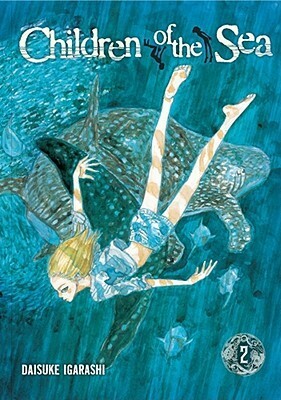 They were raised by dugongs and hear the same strange calls from the sea as she does.Ruka’s dad and the other adults who work at the aquarium are only distantly aware of what the children are experiencing as they get caught up in the mystery of the worldwide disappearance of the oceans’ fish. The sea has a story to tell you, one you’ve never heard before. Umi and Sora are not alone in their strange connection to the sea. Forty years ago, Jim met another young boy with the same powers. As penance for letting the boy die, Jim has been searching the world for other children with those same ties to the ocean. Anglade, a wunderkind who was once Jim’s research partner, lures Sora away with the promise of answers. This leaves Umi severely depressed, and it is up to Ruka to help her new friend find his brother. But time is quickly running out… When Ruka was younger, she saw a ghost in the water at the aquarium where her dad works. Now she feels drawn toward the aquarium and the two mysterious boys she meets there, Umi and Sora. They were raised by dugongs and hear the same strange calls from the sea that she does. 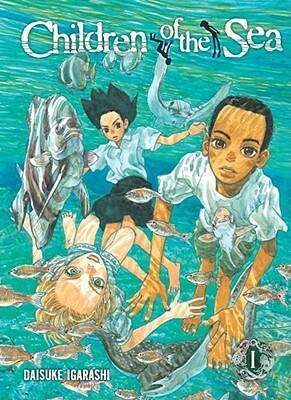 Ruka’s dad and the other adults who work at the aquarium are only distantly aware of what the children are experiencing as they get caught up in the mystery of the worldwide disappearance of the ocean’s fish. I’m supposed to read Locke’s latest, Pleasantville, for an upcoming book tour. 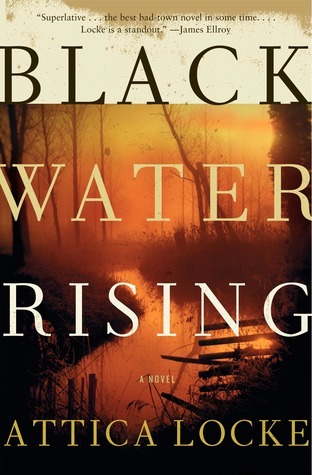 But didn’t know that it had the same characters as Black Water Rising. So thought I would try to read this first! Also, I enjoyed reading her previous book, The Cutting Season. 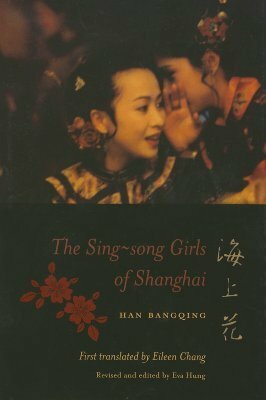 The Sing-Song Girls of Shanghai deserves a better reader than me. It required three renewals – easy enough as it was an ebook and no one else was interested in it. There was quite a bit of glancing through of passages. And I really got confused by the very many characters in this book. The lack of a true story arc didn’t really help matters. 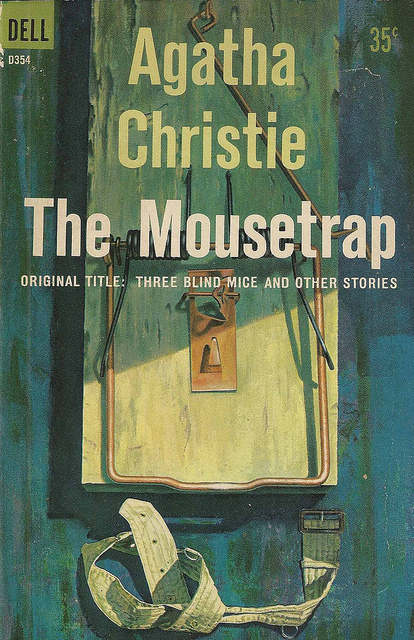 In fact, it seems that few Chinese have read this tome – The New Yorker said that it may be “China’s ‘Ulysses'”! But while it is lengthy and not the easiest of reads, it is a fascinating look into a time that is hardly written about. Brothels in 19th century Shanghai, specifically, in the foreign settlements outside the city. It begins with a young man arriving in Shanghai, fresh from the country, and falls for a courtesan who turns out not to be a virgin despite his having forked out plenty to ‘deflower’ her. It is a cutthroat business after all! The story is more episodic than most, so we catch glimpses of this young fellow throughout the book. The focus here is on the (many) girls instead. – there are different classes of prostitutes. There are girls and there are “maestros” who sing and don’t play finger games. The ones called ‘prostitutes’ are something else altogether. More like streetwalkers. Likewise, there are different ‘classes’ of sing-song houses, and within those houses, the girls were ranked. Although all of these girls really do provide more than entertainment, it is only hinted at in the book. Nothing hot and heavy here! – opium opium opium. All the time! – Besides opium, plenty of drinking and finger games. Having watched my share of Chinese movies, I can guess at what the finger games are like but I wish there was more description. – They did eat “western” meals and drink coffee, probably because they were in the foreign districts. I wish the western-style meals were described though. There were also ‘foreign’ policemen. – Girls are bought at ages 7 or 8. And they can “do business” at age 16. – The Shanghainese thought the Cantonese uncouth. Cantonese prostitutes are described as having “terrifying” physical strength. 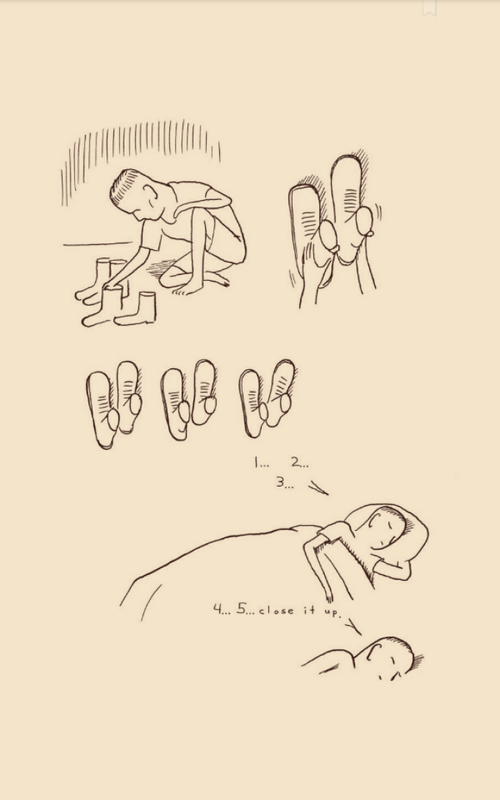 – bound feet can make a “rickety noise”. Yikes! 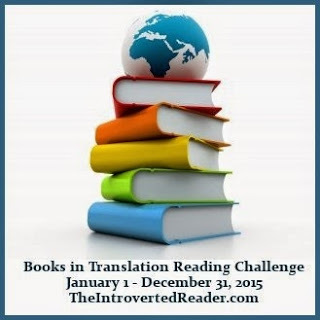 – Plus, it was first translated by Eileen Chang, of Love in a Fallen City fame. The translation was discovered among her papers after her death. Here’s the New York Times’ review for a more complete picture. Also some background to how prostitution transformed Shanghai’s Old City in this article from CNN Traveler. 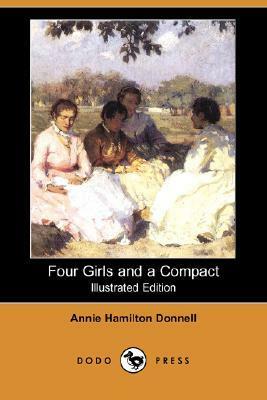 In contrast, the novella Four Girls and a Compact was light, breezy and easy to read. But also quite forgettable. The girls are tired of work and life in the city. They’re ready for a break out in the fresh air. They send one girl out to seek their El Dorado.